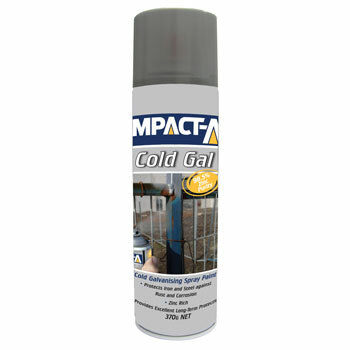 Impact-A Cold Gal is a zinc rich Weld through coating that provides long term protection for iron and steel against rust and corrosion. The unique action of Impact-A Cold Gal reacts with the metal to replace damaged surfaces and produce a protective barrier. It is ideal for steel roofs, fences, gates or wrought iron, boats and marine equipment, air conditioning and heating systems and is ideally suited to coat any metal parts. To buy IMPACT-A Paint - Cold Galvanising , please use the Store Locator below.